Retainers in Harvard work similarly to braces. They apply gentle pressure to the teeth, bones, and gums to secure their new positions and prevent any undesired movement. Every retainer is different, because they are designed and fitted exactly to the individual patients’ teeth. So, they work to keep your teeth looking exactly as you want them, even after treatment is complete. How do I use my retainer? It is important to wear your retainer in Harvard exactly as Dr. Walker directs. Typically, patients will be required to wear a retainer every day for at least one year after their treatment with braces in Harvard is completed. However, this could mean all day, or only at night, and for some patients, the rules may be entirely different. It all depends on your specific case. But, no matter what instructions you are given by the Walker Orthodontics team, make sure you are following them diligently. Keeping your teeth straight is completely up to you, and without following the proper retention procedure, you are putting yourself at risk for the need for repeated orthodontic treatment. There are many options available for patients requiring retention in Harvard. First, there are permanent retainers, which fasten to the backside of the teeth. Like the name suggests, these are a more permanent solution, as they are not to be removed. Many patients at Walker Orthodontics like this option because it does not require any attention – once it’s in, your job is done! Secondly, there are removable retainers. Removable retainers can either be metal or plastic aligners. It can be taken in and out so that it only has to be worn at certain times of the day, and it will never get in the way of brushing or flossing. Dr. Walker recommends this option to patients who would like a little more flexibility with their retention process. 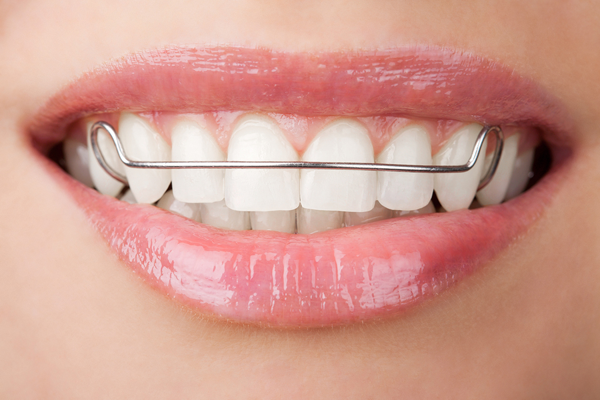 How do I know which retainer to use? Dr. Walker and the team at Walker Orthodontics are here to help you decide which retainer is right for you. We will work with you to figure out what your smile needs, and how you can fit those needs into your own lifestyle. Often, patients will find that no matter which kind of retainer they use, the retainers are comfortable and easy to manage. So, as long as you are keeping up with the proper care, your smile will remain in tact, and your retainer will help you achieve a lifetime worth of beautiful smiles. If you are a patient in Harvard who has recently completed orthodontic treatment, contact Walker Orthodontics at 978.465.8902 or visit https://www.drwalkerortho.com to begin your retention!